CARSON CITY – The completion of the transcontinental railroad in the spring of 1869 changed America forever, dramatically reducing the time and cost for people and goods to move across country and accelerating the western expansion of the industrial revolution. This spring, the Nevada State Railroad Museum in Carson City will unveil a major new exhibit: “The Transcontinental Railroad: What a Difference it Made.” The exhibit will be in place for the May 10 sesquicentennial of the Golden Spike Ceremony at Promontory Summit in Utah. 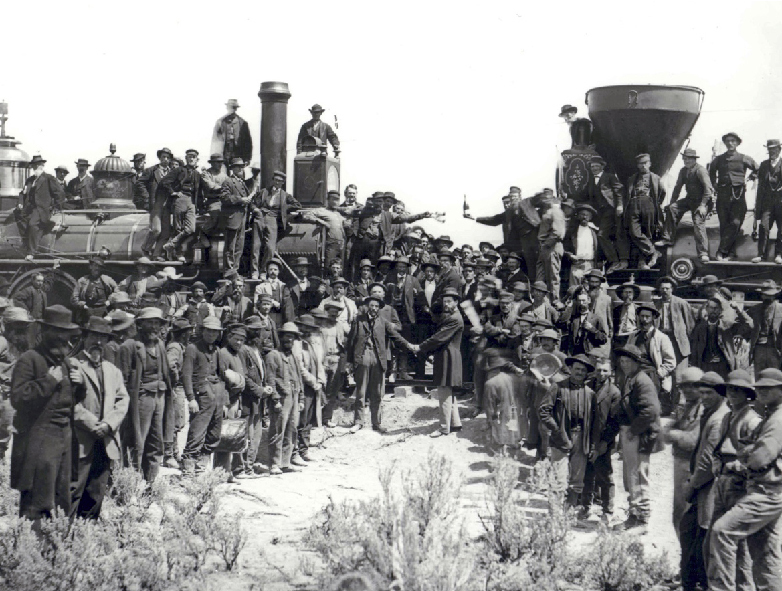 A number of presentations telling the stories of Nevada’s role in the Transcontinental Railroad are planned this month and in early May at the museum. The centerpiece of the new exhibit will be the only railroad car still in existence that was at Promontory the day the railroads came together – a milestone day in the history of the country. A few years after Promontory, it was sold to Nevada’s V&T Railroad for use between Reno, Virginia City and Carson City and in 1878, and converted to a passenger car known as “Coach 17.” It remained in operation for many years until hard financial times fell on the Comstock and the V&T. By 1937, the V&T sold much of its equipment to Hollywood film companies. In 1988, Coach 17 was purchased by the State of Nevada. Today, the car has been stabilized and is kept in a state of “arrested decay” where it serves as a time capsule of railroad history. It is the oldest piece of rolling stock in the museum’s collection. This exhibition will be the first time it has been displayed for the public. The museum exhibit will also feature the V&T locomotives Inyo and Dayton, both of which have been used in film and exhibitions to portray the locomotives present at Promontory in 1869. Event description: A discussion of the chemical demands of the construction of the transcontinental railroad and how these needs were met. Event description: Coach 17, the only piece of rolling stock still in existence from the Golden Spike ceremony at Promontory Summit, has a colorful history. The talk will be followed by a panel discussion. Event description: The impact of the transcontinental railroad on the lives of the average citizen. Event description: A discussion of the new exhibit on the transcontinental railroad and the role artifacts in the Nevada State Railroad Museum’s collection played in it. Event description: A recreation of the scene at Promontory Summit when the transcontinental railroad was connected. The museum’s locomotives Inyo and Dayton will reprise their roles in the anniversary of the historic date.